The Ferrari Testarossa is one of the many iconic vehicles from the automaker. When it arrived in 1984, it was the successor of the Ferrari Berlinetta Boxer. Production of the Testarossa lasted until 1996, and this sports car had a rear mid-engine with rear-wheel drive. 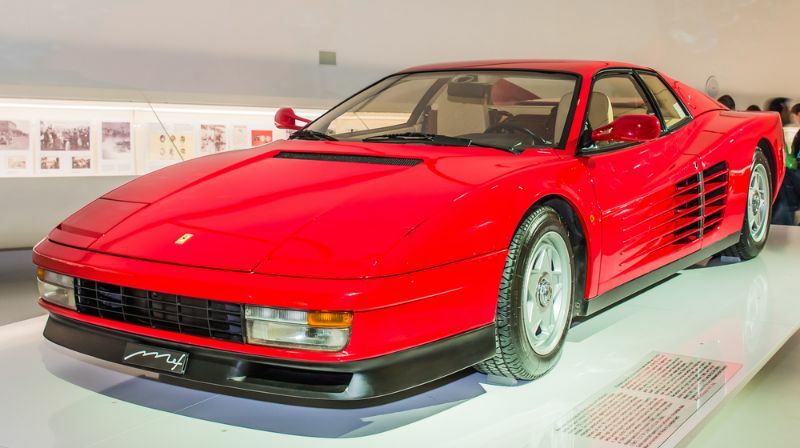 The story of the Testarossa began in 1982 when Ferrari commissioned Pininfarina to design a 12-cylinder auto featuring GT-level luggage space, improved comfort, and side-mounted radiators. The Ferrari Testarossa is widely known for its ultra-wide rear track and the influence from wedge styling common in the early 1980s. The massive side intakes along with the wide rear fascia helped this Ferrari stand out. While those side intakes were stylish, they were also necessary thanks to mid-mounted radiators that were inspired by race cars. These side strakes enhanced the aerodynamics of the Testarossa by capturing air that cooled the radiators and eliminated the need for a rear wing. Compared to the Berlinetta Boxer it replaced, the Ferrari Testarossa was fairly unique with a flatter hood and larger pop-up headlamps. It also had a fairly simple front fascia with a black spoiler, headlamp and turn signal clusters and a thin grille. From the side, the Testarossa cut a striking image with the side strakes going between the rear fenders and doors. The rear taillight clusters and grille mimicked those of the front. There was also an integrated bumper and no diffuser. 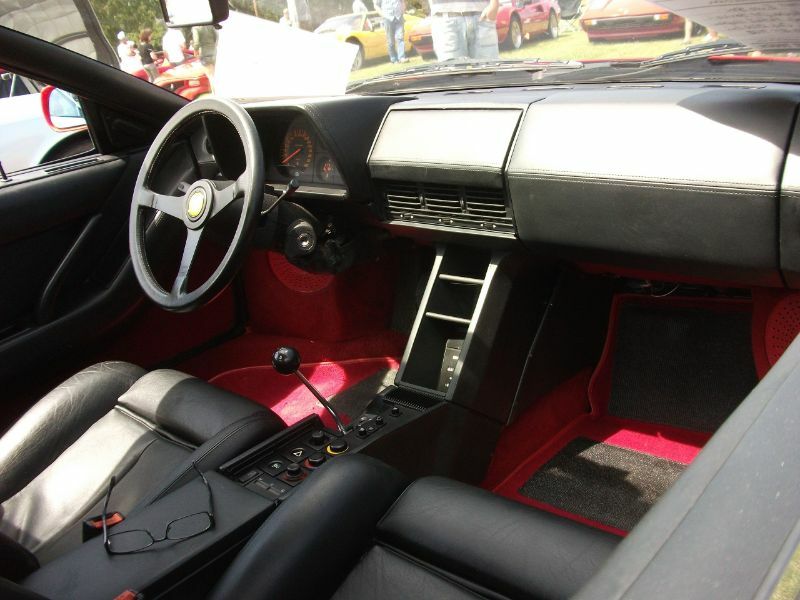 The interior of the Testarossa helped Ferrari earn its reputation of refinement. Compared to its predecessor, the refined Testarossa featured a great deal of comfort. The dashboard got rid of the simple styling cues inspired by race cars found on previous Ferraris. Instead, this supercar grouped the gauges together in the instrument cluster for a refined dashboard. Even the CD/cassette player had a small leather-wrapped lid that hid it from view. Interestingly enough, when Testarossas left the factory, they did not have a stereo, just the pre-wiring. Dealerships were free to install the stereo of their choice. The fairly simple design of the door panels was supplemented by soft leather, which was also found on the sports seats. The seats had a good driving position and some lateral support, but there were complaints that they were not strong enough to handle hard cornering. The Testarossa had much more luggage space than the Berlinetta Boxer, including behind the seats and under the front hood. There was also available bespoke Schedoni luggage that fit into these spots perfectly. 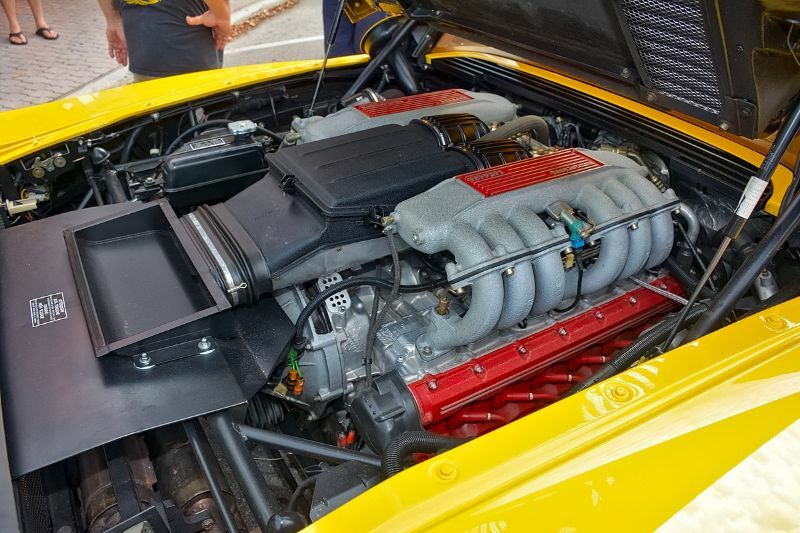 The Ferrari Testarossa used a 4.9-liter flat-12 engine with 48 valves, a 9.20:1 compression ratio, and dry-sump lubrication. It puts out 385 horsepower and 361 pound-feet of torque in Europe and 375 horsepower in North America. The Testarossa could go from zero to 60 mph in 5.2 seconds and get up to 100 mph in 11.4. The European version had an estimated top speed of 180 mph while the U.S. spec version could reach 176 mph. Regardless of the model, the Testarossa used a five-speed manual transmission and rear-wheel drive.